Today we will share some information about the Peace Centre here in Timor-Leste, as part of our follow-up project is to finance the renovation of the centre. The rebuilding of Timor-Leste after the occupation of Indonesia faced a serious setback in 2006, when Timor-Leste was in a major political crisis that resulted in loss of over 100 lives, personal injury and massive destruction of property. The crisis started with conflicts within the military of Timor-Leste that led to almost 600 soldiers being dismissed from the military. The crisis turned violent as armed clashes between the police, army, rebel soldiers and youth activist occurred. Foreign governments were requested to intervene to restore order, including Australia, New Zealand, Malaysia and Portugal, who all sent troops and forces to Timor-Leste. In addition to this foreign intervention, the United Nations High Commissioner of Human Rights were investigating the conflict. Antero Benedito da Silva called for an intervention strategy and organized a national youth dialogue with over 200 youths from all over Timor-Leste, where they reaffirmed in their own way, a national unity. 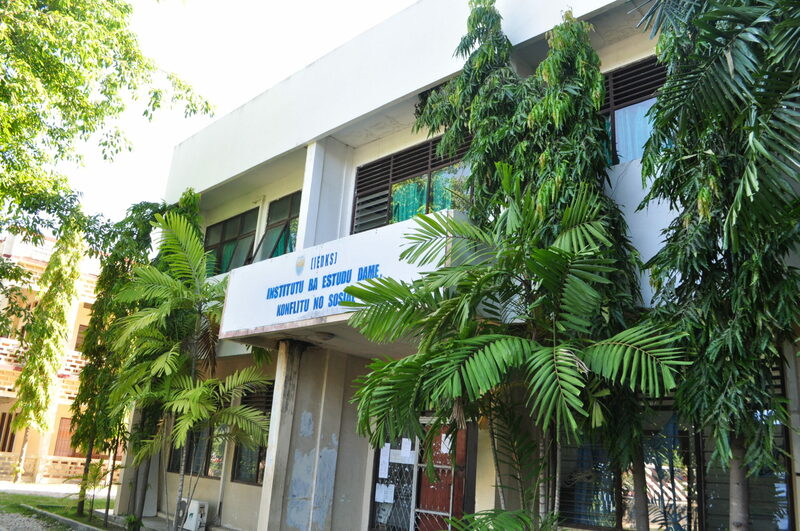 As a continuation of these dialogues, the Peace Centre of the National University of Timor-Leste were established, on February 14, 2007. The Peace Centre was established with the hope to provide a platform for continuous dialogue for the youth as well as a place to learn and share ideas. Today the Peace Centre have over 200 students associated with the centre, either as volunteers, participants in short trainings, or as postgraduate or master students. The students come from different faculties and universities. The Peace centre has become an important place for students. A place that allow them to learn through voluntary work, where they can combine activism with formal learning and a place where students can engage in different activities outside of their studies. 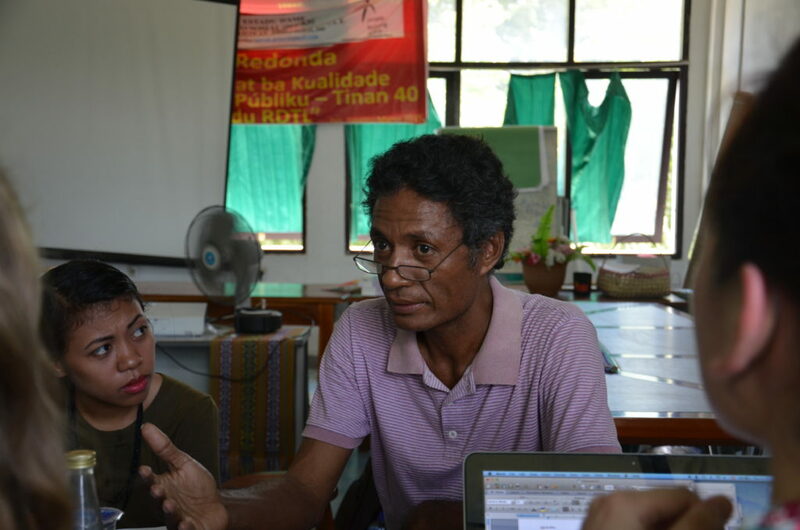 This is a very unique possibility for the students in Timor-Leste, as there is few places for student organizations to do their work. However, the Peace Centre is in very poor shape. There is no functioning air-condition in the building, the windows are facing the sun, there is no cafeteria or any other room where students can rest or have lunch and the rooms are generally small and cramped. As a result of this, the Peace Centre cannot be used parts of the year. A part of our follow-up project is to renovate the Peace Centre. We visited the Peace Centre on January 5th, and met with the volunteers for our Seminar as well as Prof. Antero da Silva. We got a tour through the centre and heard da Silva’s renovation plans. On the 6th of January, we met with the rector of the National University of Timor-Leste, Prof. Doutor Francisco Miguel Martins, to discuss the renovation plans. He seemed very eager to hear further details about the renovation plans. In addition he was very impressed with the Norwegian culture of student organizations and student activities, especially the way Norwegian students have access to different tools and facilities. Our aim is to finance the renovation project of the Peace Centre, so it can be used properly all year around. We are excited to see the result.